Driving in the snow and ice can be treacherous. Being prepared for all contingencies when driving in the winter is the key. This is a guide about winter driving. 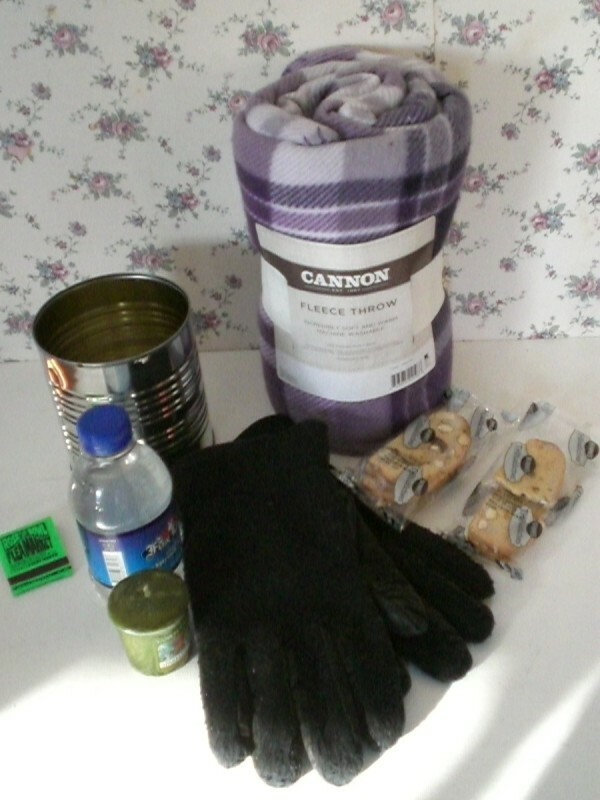 After a dear elderly friend got frostbite after she was stranded on a highway in her car due to an accident that stopped traffic for hours during a snowstorm, I learned some items that every car should have during the winter. They are a large tin can and substantial candle and matches to maintain warmth for longer periods of time. Since it is recommended that you don't leave the car idling for long, instead turn off the car and light the candle and place it in the can and hold it. It will keep you and your hands warm while waiting. It is also recommended that you open your window a crack every once in a while. A spare blanket, heavy warm gloves, water and some healthier snack foods (bag of nuts, granola bar, etc) should be included in your kit. It is also recommended that if you are ever in one of these situations (and for most accidents), you should not get out of your car. More people are hit by other drivers during these snow and multiple pile up type of events than if they just stayed in their cars. This is a great "Winter Tip" my dad told me about years ago. In the winter back here in the North East, I did not have a garage. My car doors were locked at night. When I went to try to get into my car the next morning to head off to work, the lock was frozen. Apparently the moisture goes into the key slot area and freezes. My dad suggested I take a piece of my gum I was chewing and press it over the key area, which I did. The next morning, I barely bumped the small frozen solid patch of gum off the keyhole area to find my key area was not frozen! Worked like a charm! Also, laying a small rug, piece of grass carpet over the windshield will keep ice and snow off with a few seconds to remove the cover. Stay warm! In the winter, my hands occasionally become so cold that it is uncomfortable. To keep a good grip on the steering wheel and stay warm at the same time, I tried a pair of fingerless gloves (aka gauntlets). Bought them at Target, and have seen them on ebay and amazon.com. Works for me! I keep them in the car under the radio where there is a little opening. I've tried gloves and mittens of various fabrics, but the fingerless gloves work better. Probably the fingerless gloves that are used for weight lifting might work as well if the wrists aren't pulled too tightly and you don't mind grappling with them every time they are needed. Besides the usual guff about gearing down appropriately for an automatic or manual transmission, why not reveal the following secret? Use the brake pedal BEFORE you enter curves, not in the curve! When going into extreme weather conditions, have your automobile checked out thoroughly. Don't cut corners if possible. It's for your own safety as well as for others. When snow and ice are on the ground, you see a lot of people loading the bed of their pickup truck with heavy stuff to help with traction on the slippery roads. Please remember that whatever you have in the back of the truck can go flying if you are involved in a crash. How can I prevent ice and snow build up on wipers while driving? It is a pain when you are driving and you have to pull over to knock off the ice and snow all the time. And yes I do try the windshield washer fluid, but it doesn't seem to help much. Thanks. You may need new wipers - look for ones to fit your vehicle that claim to reduce ice/slush build up. Also consider changing your window screen fluid to one rated for the winters in your area - this really makes a difference. Winter rated windscreen wash typically contains a special blend of anti-fog+anti-ice chemical (NOT the antifreeze you would use in the cooling system, btw). Another tip is to 'sharpen' your wiper blades once a week by using a fine grit piece of sandpaper - fold a 6x6" square of the paper and run the blade through the fold several times applying pressure to both sides of the fold with your fingers. I've lived and owned motor vehicles in Alaska, New England, NorthWest Georgia (USA), and in Scotland - areas with harsh winters. Using the tips I noted above kept my windscreens free and wiper blade clean no matter the weather. How can I prevent snow and ice from covering my outside vents on a Pontiac Montana? It hard to defrost because of it.